We are partnering with the Geelong Football Club once again this year to support the Bay 93.9 Bethany Giving Tree Appeal. 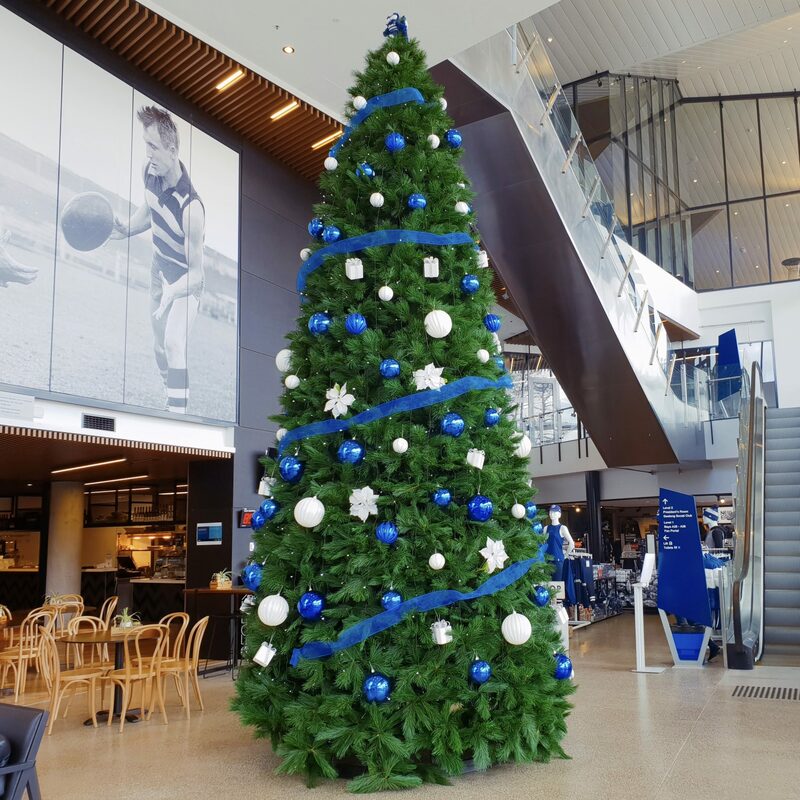 Stop by the Charles and Co Café at GMHBA Stadium to check out the giant 20 foot Christmas tree displayed in the foyer. Help us spread the joy this Christmas by leaving a gift underneath the Giving Tree. The Giving Tree is a fantastic community initiative that everyone can get involved with. Last year, over 150 gifts were placed under the Kardinia Park Tree. If you would like to get involved you can make a donation of a gift for a boy, girl, man or woman which will be delivered to a person or family in need in time for Christmas. Please note that we cannot accept donations of used or second hand items, perishable food or toy guns and knives. Alongside the Giving Tree, the Christmas spirit continues every Saturday in December at GMHBA Stadium, with the Geelong Football Club’s Christmas with the Cats.